I was shopping on-line and the internet sales person called me several times and asked what exactly I was looking for and then called me to let me know that what I wanted they had. I went in and bought it at a good price. I love my new truck. Thanks so much. My wife and I went to the dealership to look for a truck for me, found it! ; and she found a sweet little sedan which went home with us too. We were in and out in record time, and they had our new vehicles ready for us the next day. Great experience; we recommend them. Great ride. Little road noise. Have to have running boards unless you are tall. Changing radio stations does lag, though. Words cannot express my displeasure with my 2016 silverado z71. I purchased it brand new with only 10 miles on it. My first time on the highway was awful. This vehicle vibrates and shakes extremely bad. I took it back to the dealership and they told me it needed aligning, it was tire pressure from sitting on the lot, and even the suspension. I disagreed because it doesn't happen all the time. It rides good every now and then but for the most part it is horrible. I called the corporate office who stated that they have received numerous complaints about this and it was up to the dealership to get me out of it. The dealership has not worked with me and told me I was stuck with unless I accept the horrible offer they gave me to trade it in. I have never been more displeased with a vehicle as I am with this one. After the lies about the issues, I was told that is was operating as expected but yet their fliers read that they believe in making their customers happy. I am extremely upset with the performance of this brand new vehicle. DO NOT BUY ONE of these. I promise you will be as displeased as I am. I rented this car for my family vacation in and around Yellowstone Park this summer. It was super comfortable to drive. My iphone connected with no issues and the kids really like the view riding from the back. These new trucks drive more like luxury SUVs with all the bells and whistles. Haven't had the truck long enough to accurately rate, only 4200 miles, but pleased overall. Sticker was 47500 and purchased for 34900. Had to drive to Salt Lake City to get this deal. Best I could do locally was 41000. I have the short bed, 5' 8". This was not in the choices I had to select when I was putting this review together. I have the 5.3 V-8 and the All*STAR package. Mileage in town varies between 15.1 to 19.2 with an overall MPG of 23.3. I like the feature that reduces your engine use from 8 to 4 cylinders when you not need the power. I am curious as to how they can do that. Have not utilized all the features yet such as towing, 4WD, other transmission speeds, and a few more. For a Z71 with the LT trim package. I was surprised with all the features, duel climate control, etc. Need to get running boards but that's okay, I would rather the truck set high anyway. I have painted bumpers which I wasn't to sure about but they have grown on me and the overall appearance looks sharp. My only issue (especially with painted bumpers) is that it is very hard to judge how close you are to any barriers when parking head in, signs on poles, etc. VIBRATION ISSUES!!! #chevyshake - Buyer beware!!! I bought a $60,000 Chevy Silverado High Country with 31 miles on it. I drover it around town and maybe up to 40 on the back roads. The truck was amazing and the look was great. Then I bought and drove it home on the highway and it shook and vibrated. They have rebalanced tires and made it worse. They are trying to put a better tire on it to lesson the vibration but there is NO fix. No disclosure when buying it. It shakes so bad it makes me sick, it could also be the fact I paid $60k for a truck that shakes more than my 2003 rust bucket Dodge did. 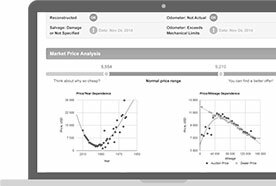 Research it and educate yourself...BUYER BEWARE!!! It was a good buy for ! This truck is not in Edmunds model description. I went from a 1998 Saturn "great car", to a Chevy Silverado 2 WD, WT extended cab with a V8. I have been spoiled with 34 mpg in the city and 42 mpg highway, for almost 19 years. With the first fill up of gas in this truck I averaged almost 19 mpg city driving. I'm very impressed with the truck so far. It is very quite, has plenty of power, and looks like it will get almost 2 times the mpg of my previous 83" Chevy pickup. But, with only 300 miles on it, I can't tell you much. I'll let you know in 19 years what I think ;) I had a hard time finding this truck. It seems like most trucks are loaded, 4 WD with 6 cylinders. For 1 mpg difference why buy a 6 cylinder. 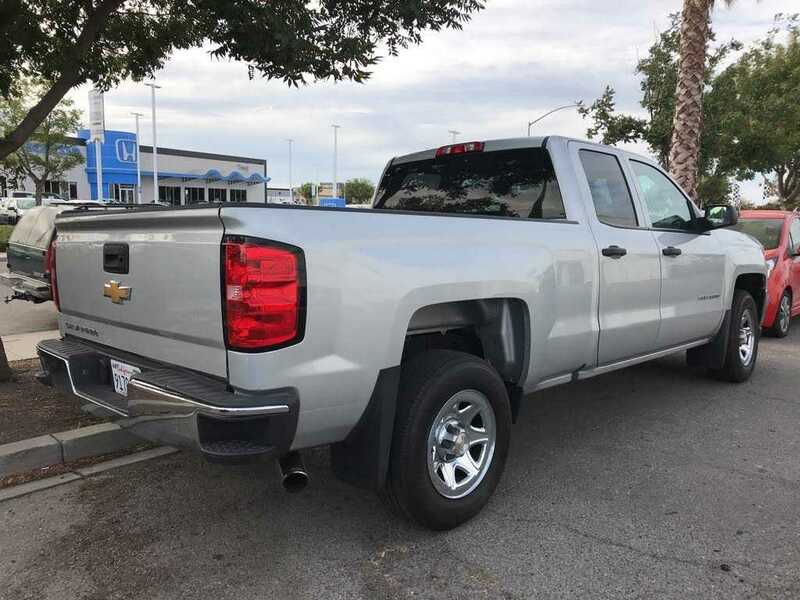 I really wanted to buy a extended cab with a 8' bed, but GM doesn't sell it in the 1500 trucks. I looked at the 2500's until I saw how bad the Mpg was! The front passenger seat is unconfortable as the back is flat and it puts your legs to sleep the way it was made. I have my husband stop after 100 miles or so, so I can get my back and legs in order. Can't afford a power seat so I can adjust it, so I guest I have to live with it. At the age of late 60s you people should remember not all people are young when they buy your trucks. Please change the seat for the next person as they could be Handycap like me. Love my truck! Would not buy anything else! I will be 70 years old in October of this year. I have been grousing around about the cost of a new vehicle for the past 9 years. My 32 yr. old daughter told me to get my head out of the 1960's and quit complaining about the cost of everything. I went to a online inflation calculator and I was very surprised to see that things really aren't any more expensive now v. back in the 1960's. I made the decision it was time for met to buy a new truck. That said I checked around on prices from various dealerships and ended up buying my new truck at Dave Smith Motors in Kellogg, Idaho. Their claim to fame is they are the largest GM dealer west of the Mississippi. They have around 3,000 vehicles in stock at any given time. I gave them a list of things I wanted in a new truck and they called my back in about an hour. They had my truck in stock and gave me a run down on what the final price would be. I saved a lot of money by calling Dave Smith Motors in Kellogg, Idaho. I have now driven this truck 500 miles and wonder why it took me so long to buy a new truck. It gets great gas mileage, no squeaks, rattles or other noises. It is very quiet at freeway speed. The ride is smooth and when going over rough roads it absorbs whatever is out there. I love the MPG data, I got as high as 29 MPG on the trip home (400 miles) and the average for the trip was 21.4 MPG. It is a full sized mechanical marvel. You have to drive one of these new crew cab trucks to fully appreciate all the engineering that went into these new trucks. GM has produced a real winner. 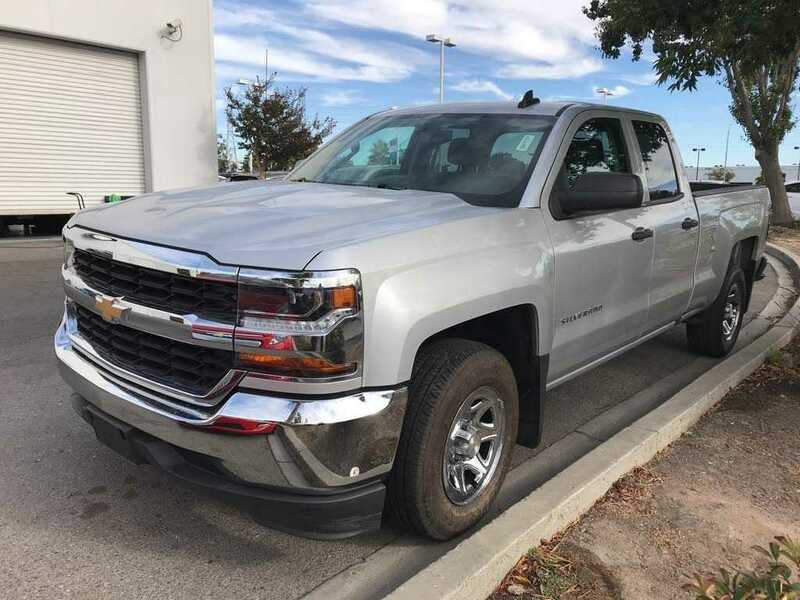 I have owned three other Chevrolet trucks over the years and a couple of new suburbans and this truck is a real stand out in comfort and luxury. Broke down 3 time in the first year! I have always owned Ford trucks but because my son worked for GM I wanted to support him and the company. I bought the Silverado . On a trip to Florida it broke down- they said it was the o2 sensor. Same trip- it breaks down again- they put me up in a hotel because they say it's the coil and they have to order a part... 2 days later my truck gets fixed. I head back on the road again . I make it through 3 states and it breaks down again on a Saturday afternoon. Once again I am stuck in a strange town with a new truck that has broke down! What happened to my Car Play! so, I picked up my new Silverado 1500 and noticed while going through the truck that Airplay was missing. I asked the salesmen why didn't my truck on this since it was on of my requested features (also standard on my trim level). I was told that someone had ordered the truck without it and I would be able to bring it in the next day for an update. The next day I called to get an update. I was told that "due to supply issues my truck did not come with CarPlay that that GM "may" make it right some day. For now, I received a $200 credit.. $200? I wanted carplay.. I don't really care about the stupid credit.. GM.. Make it right please! This review is based on the High Country model which Edmunds doesn't list. I really like the grill and front end design. Interior with saddle leather looks awesome and cab is quiter than wife's Audi. Ride is very comfortable and handling is very good for a truck. My only complaint is auto manufacturer's seem to over price trucks. Do not waist your money!!! Vibration problems started within two weeks of owning the truck. The dealer knows there are vibration problems but there is not a fix. I was told that's the way they are, deal with it. The transmission is sluggish and slow to keep up with the driving situations. The electronics crash frequently. The dealership said it was due to subpar and cheap Chinese made memory chips and control boards. Please do not waist your money on this truck. I traded the truck for a Dodge Ram after only 2200 mile. Worst of all the dealership fully understands the problems but will not mention them during the sales process. They will gladly take your money and give you a piece of junk in return. only have 6500 miles so far, but I have averaged 22.2 MPG. I do mostly highway, and use the cruise control at the speed limit. The V8 transition to V4 is seemless, I am happy with this truck! Major mistake, never again. good buy chevy. For 43K, and purchased brand spanking new, at 3k miles i should not have vibration issues, hard downshifting, and terrible dealer denial. I am so fed up with the lack of quality, and attention to detail. All the bells and whistles don't mean a thing if the vehicle shifts poorly, lunges when placed in gear, and makes terrible noises when it downshifts. The dealer was helpless (i kinda feel for the dealer, they are not the manufacturer. This is an engineering and quality issue). I DO NOT recommend you waste your money on the 2016 chevy silverado crew, 5.3l. Chevy CANNOT get the basic functionality of what a vehicle is supposed to be correct. Don't buy into the look, or the commercials, these vehicles are nothing but polished poop. purchasing this chevy truck was a major mistake and i hope you learn from my mistake, but at my cost. God bless. Long time F150 owner now Chevy! I have owned 3 F150's over the years and was in the market for a new truck. I wanted a truck with big v8 power (my last F150 had the 6.2l motor). reasonable gas mileage and ability to tow a 7x14 V nose enclosed trailer long distance in comfort. I don't do off road stuff but every so often I do hit some dirt roads. I didn't want to move to a F250 or any 3/4 ton. I looked first for a truck with a 6.2l engine and the only one I found with that option was Silverado. Well, I started looking and found that not only was it basically the same motor as in the C7 but it came with a 8 speed transmission. The Silverado comes in many different flavors and the engine choice limited me to a High Country or an LTZ Z71. I found 2 trucks about 70 miles away from where I live and test drove one and bought it the same day. I got what I needed (power, comfort, rugged). I also got what I wont use (crazy technology built-in wifi, lane assist, front assist, rear assist etc)) and hopefully it will be as reliable a truck as my fords have been. I just couldn't do a twin turbo v6 in a truck so hello Chevy and so long Ford! Update at 6000 miles. So we put this truck through some pretty intense miles. Hooked up a 7x14 enclosed motorcycle trailer with 2 baggers and towed it from VA to CO and then to WY. Went up steep mountains and through torrential rains. Experienced the joy of bad roads in various sections of the 5000 mile vacation over 2 weeks. Love this truck. Gas mileage went to hell ofcourse towing 5000 pounds+ but stable, able to go up steep inclines, handle wet roads, couple of emergency manouvers without problem, no overheating running straight for 16 hours in sometimes 102 degree heat. 1500 Silverado is best in value. I admit that Silverado is my truck of preference, given my last one lasted 16 yrs and 189,000 miles. Heavy rust issues from living in the northeast is what made it time to trade in. I test drove the Ford and though it was a nice ride, I thought the handling was OK and you can feel that turbo working. I really like the Ram and felt this came with great options and the best ride on the highway. I choose the Silverado because it had the best value without sacrificing anything. The new look of the Silverado is tough and sleek and the standard HID lights are really impressive. The handling is great and the ride is really comfortable. The crew cab is more than enough room for adults plus really handy to store away tool. I have owned it now for 4 months and can't say a bad thing about it. I do a lot of mix driving and am averaging 19-20 MPGs which is really nice. Shop around for the price but you can not go wrong. The LT model is a nice mid range with enough options but does not break the bank. Awesome truck, very pleased. 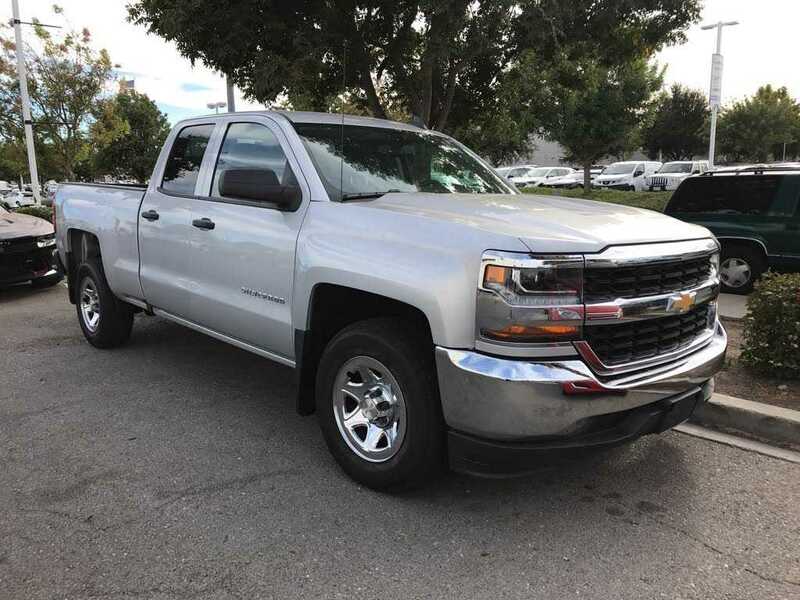 Owned a 2007 LTZ and was very satisfied with it's service but this is so much more truck. The only negative so far is the Google play app and charging pad function does not seam to work. Had the software downloaded at the dealer but my phone still does not charge on the pad.